We have been very fortunate to be the Project Architects for some wonderful projects. During this time we have worked some exceptionally talented people. One for example is the Doug Hasket who was originally employed to oversee the lead work to the new roofs. The images attached are just some examples of his work. These lead hoppers and downpipes are hand made from scrap/off-cuts of lead, melted down in Doug's workshop and reformed into what you see here. Even the stainless steel bolts have been capped in molten lead to ensure consistency! 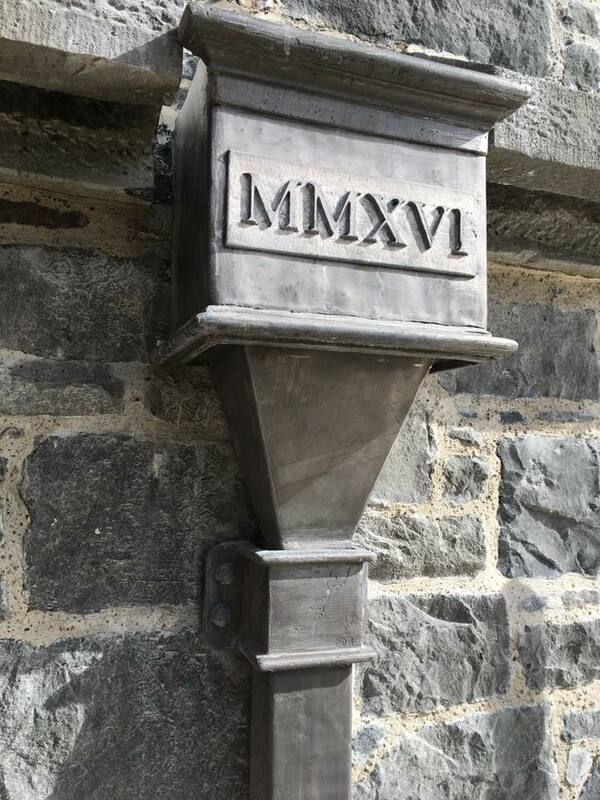 These rainwater goods are installed on the National Monument, and are entirely in keeping with the character and workmanship exhibited out throughout this challenging project. It is with the kind permission of and gratitude to our client that we are able to show you this bespoke work.